By the end of the 19th Century, Catholics were a significant population within the city of Philadelphia. The number of parishes was growing steadily especially in the southern part of the city. Archbishop Patrick J. Ryan watched this expansion and knew the time had come to found a parish there. In a letter dated, January 1, 1895, the Archbishop directed Father Owen P. McManus, who was currently the assistant pastor at St. Theresa Church, to undertake the work of organizing a new parish and building a church on Ritner St. between 17th and 18th, the church to be built to be used as a church and school for the present. Four days after his appointment, Fr. McManus supervised a ground-leveling project on the parish grounds. The original church of St. Veronica located at 2nd and Butler Streets was taken apart, transported across the city and enlarged to seat 650 people and then re-erected where the present Ritner Street school stands. The chapel was ready on May 24, 1895, Thus began St. Monica Parish. In 1897, a new rectory was built at 17th and Roseberry Streets and the pastor realized that a new, permanent church would soon be needed. Groundbreaking for the new church took place on May 1, 1901 and dedicated by Archbishop Ryan on May 3, 1903. As soon as the Chapel was is operation in 1895, the services of the Sisters, Servants of the Immaculate Heart of Mary was obtained to teach Sunday School until a permanent school was built. On November 2, 1908 Archbishop Ryan dedicated the new school for the nearly 600 children of the parish to attend. From that time the Sisters, Servants of the Immaculate Heart have been a vital part of St. Monica Parish. The Spiritual needs of the parish were not neglected as 1895 brought the inauguration of the Parish Sodality honoring the Mother of God. February 8, 1905 saw the founding of the Holy Name Society. Today its members still assist in parish work. A new convent was begun however before its completion Father McManus died on September 17, 1911 and Father James Timmins was appointed our second pastor. Fr. Timmons initial tasks were the completion of the convent and the organization of several new parish societies. He organized the St. Monica Catholic Club for the men of the parish as a place to relax and discuss future parish plans. He started a fundraising campaign to pay off some parish debt and over $10,000 was raised the debt paid off and money left over helped decorate the interior of the Church. In July 1917, Fr, Timmons returned to St. Michael’s as pastor. During his stay here he enhanced the beauty of our Church, presided over the newly formed Dorcas Society, the Church Debt Collectors, The Holy Name Society, the St. Monica Guild and the Catholic Club. He was pastor for 6 years. 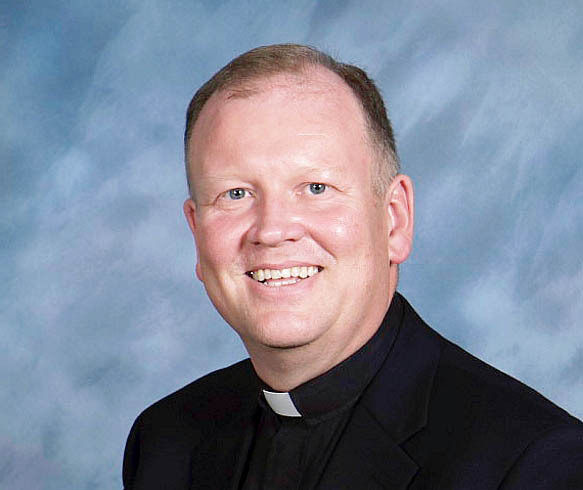 Archbishop Prendergast appointed our third pastor, Father John J. Walsh who came to us from Immaculate Conception parish in Allentown. Even though our boundaries were reduced by the erection of St. Edmond Parish the parishioners needs expanded. Fr. Walsh built a chapel in the basement of the church and enlarged the convent, school and rectory. At the beginning of 1918, Fr. Walsh, George Borbonus and James Mallow organized a group of boys in the parish into the “Boys Battalion,” to receive training on music. In the 1920’s they were 5 time City Champions. Fr. Walsh had compassion on the less fortunate members of the parish especially the children and he founded, on September 8, 1916 at 1615 Porter St. The St. Monica Day Nursery. 15 children were enrolled from 6 months to 6 years. For 23 years Sister M. Laurentina, IHM was the supervisor of the nursery until her death in 1942. As World War II ended a need was seen to train young people in business. This was the beginning of the St. Monica Commercial School. The first graduating class consisted of 16 boys and girls. Changing educational and economic demands led to its closing in June of 1944. The 1920’s saw the parish grew to over 1100 families so in 1924 the parish was again split and St. Richards Parish was founded to serve those south of Oregon Ave. This was the last time the our boundaries were changed. 1929 brought the Great Depression and St. Monica was not spared, never discouraged the priest persevered working doubly hard to help those in need. The St. Vincent de Paul Conference, now Society was able to help many people and by working as a true community of faith, the people of St. Monica were able to overcome the many obstacles and difficulties of the times. Following the Depression, St. Monica parish enjoyed a time of prosperity, renewed activity and contentment. On May 20, 1938 Father Walsh observed his Golden Jubilee and by June of 1943 he was in his eighties and asked to be relieved of the burdens of administering the parish. Father Aloysius F.X. Farrell, on the the Assistant Pastors of the parish was appointed as Administrator Pro Tempore. Father Walsh died on January 17, 1944 and on February 2, 1944 Father Farrell was appointed Pastor of St. Monica by Dennis Cardinal Dougherty. Father Farrell worked on renovating the school and the church in time for the parishes 50th anniversary celebration. In 1945 he established the St. Monica Kindergarten. Concerned about all phases of the parishioner’s lives Father Farrell bought a tract of land in the foothills of the Blue Mountains in 1948. This became known as Camp St. Monica providing a healthy vacation area for parish children. For the Marian Year of 1954 St. Monica Parishioners contributed a magnificent Kilgen Organ blessed by Archbishop O’Hara, Father Farrell also started a Choir School. In the Fall of 1956 some fathers attended a football game and treated the boys to a banquet afterwards. This led Father Farrell and the men to the idea that they should spend more time with their sons on a regular basis and with Father Farrell they founded the Fathers and Sons Organization of St. Monica. On February 8, 1959 Father Farrell became Monsignor Farrell. As the school continued to grow Monsignor Farrell purchased the old Balwin Elementary School at 16th and Porter. On April 30, 1961 construction started on site and on September 23, 1962, Archbishop John Cardinal Krol dedicated the Porter Street School. Two years later the original St. Monica School was deemed unsafe and a new structure was built and dedicated on September 8, 1965. The winds of change were blowing down Ritner Street during this time. Mass in the vernacular was introduced, congregational singing, lectors read the readings and guitar Masses were held. The first Ecumenical Service in South Philadelphia was observed in St. Monica Parish on April 20, 1968. On January 18, 1970 a special Liturgy for the St. Monica Diamond Jubilee was accompanied by the bells of St. Elizabeth Episcopal Church. On January 8, 1971, a year after the Diamond Jubilee, the St. Monica School children had a holiday to honor Monsignor Farrell on his 40 years of service to St. Monica Parish. Late that morning, parishioners watched as firefighters tried in vain to extinguish a blaze which engulfed St. Monica Church. The fire destroyed virtually everything but the walls of the building. Despite the tragedy, Monsignor Farrell and the parishioners did not despair but worked tirelessly to rebuild the Church, determined to rebuild the Church in grand style. On May 25, 1975, the beautiful new St. Monica Church and Chapel were blessed and dedicated by Cardinal Krol.